The project to connect the tram system in Av. 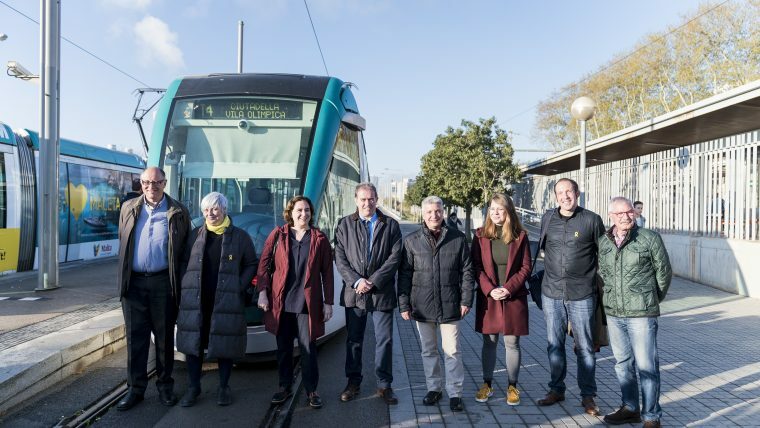 Diagonal has the backing of the public, as well as entities and mayors from the metropolitan area, who are calling for political consensus to approve the first stage of the project and extend the service between Glòries and Verdaguer. 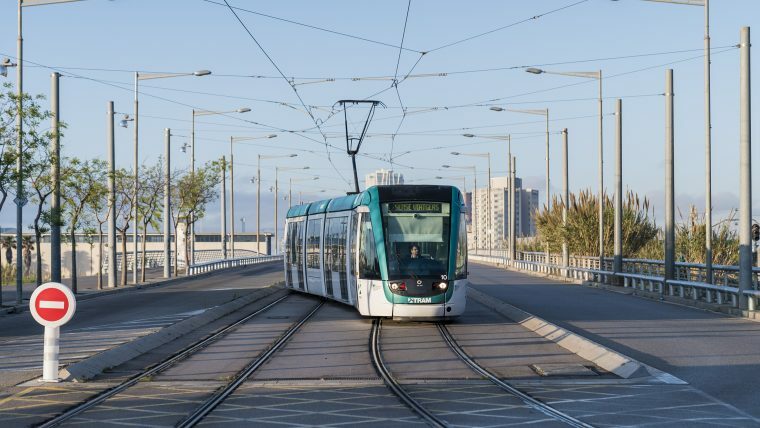 The new tram section would connect with four metro lines and fifteen bus routes, contributing to healthier and more efficient mobility. 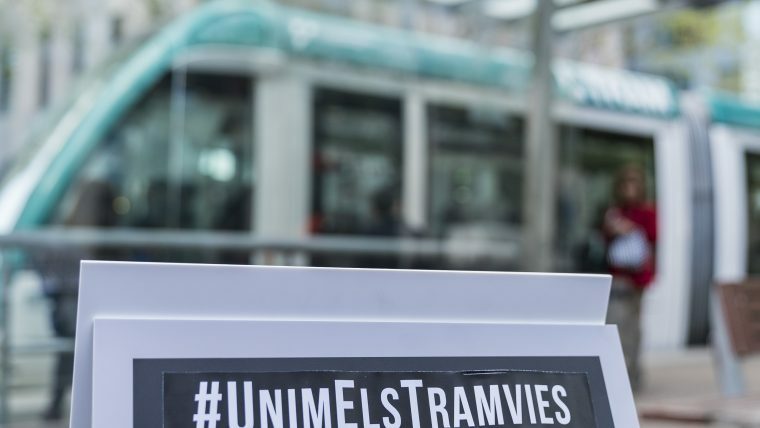 The citizen platform Unim els Tramvies invited mayors from the municipalities in the metropolitan area to an act calling for the connection of the tram systems in Av. Diagonal. Representatives and those involved in the project travelled together on the tram from Glòries to Ca l’Aranyó to demonstrate the social and metropolitan consensus over the proposal to extend the tram as far as Verdaguer. 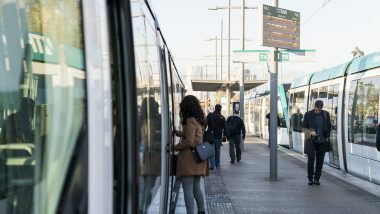 The new section would be the first stage in connecting the tram systems between Pl. Glòries and Pl. 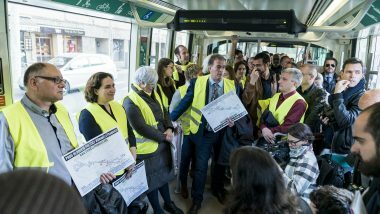 Francesc Macià. 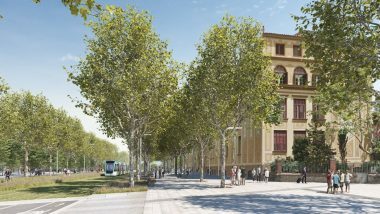 Approval for the proposal depends on votes from municipal groups in tomorrow’s extraordinary full council meeting. The connection between Glòries and Verdaguer equates to a 1.8 km stretch and would mean a journey time of 7 minutes. 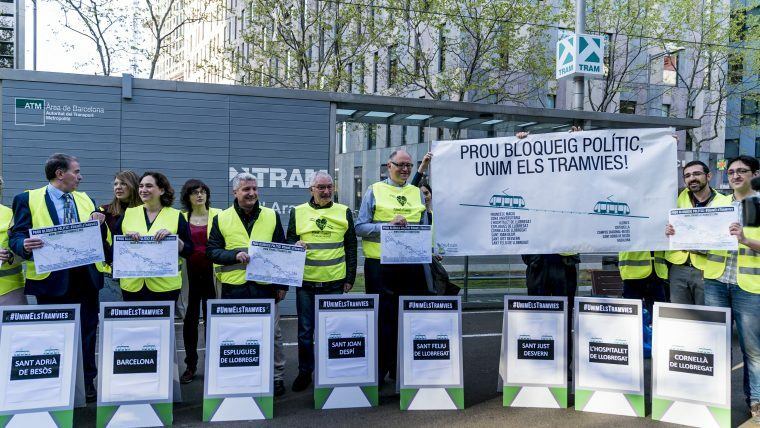 The extension to the Trambesòs network would lead to a 58% rise in travellers, with 18,300 new users. 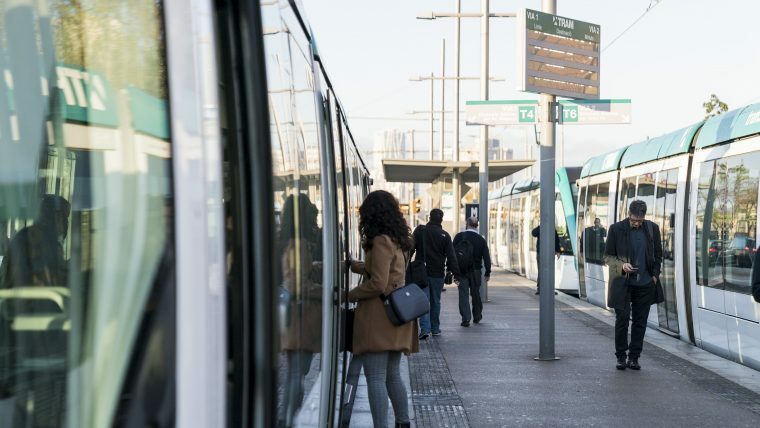 In addition, the three new interchange stops would connect with fifteen bus services, as well as the L1, L2, L4 and L5 metro lines and the current T4, T5 and T6 tram services. 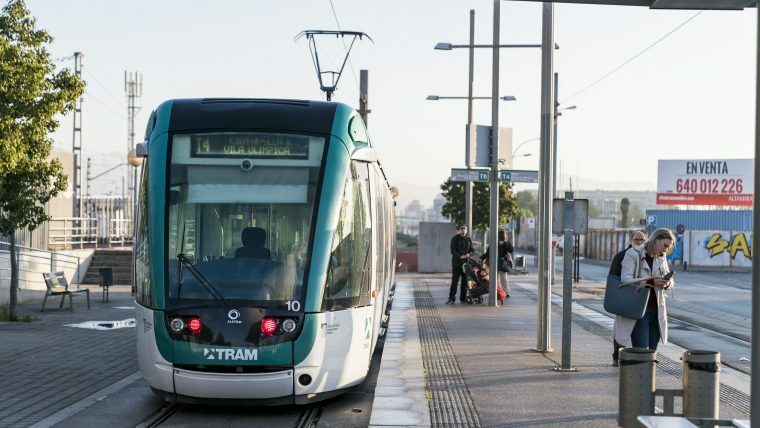 Extending the tram network as far as Verdaguer would improve metropolitan mobility, particularly in the cities of Sant Adrià and Badalona, representing 107,000 and 36,000 journeys respectively. 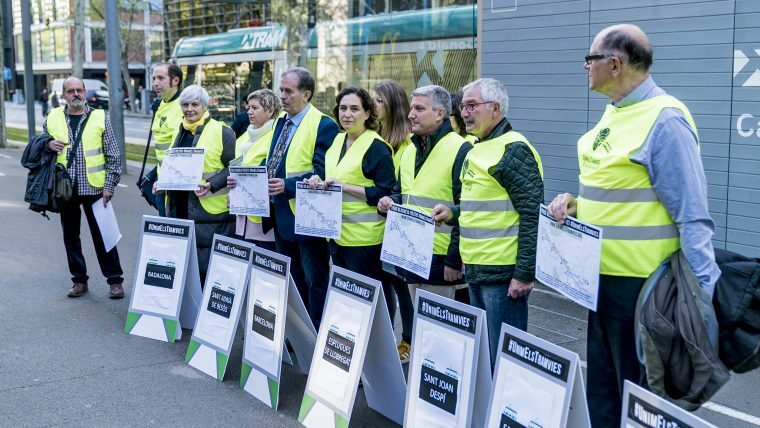 Likewise, the work would help calm Av. Diagonal along the section in question, with more room for pedestrians and cyclists, and more green areas. 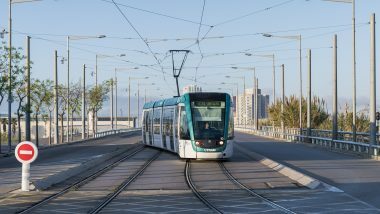 Boosting means of public transport such as the tram system also helps strengthen a healthier and more sustainable mobility model.